In this type of bearings, the rollers race tracks are essentially cylindrical, however they may be ground slightly curved in order to achieve thereby small degree of flexibility. The rollers are guided between two lips on either the inner race or the outer race. Other types provided with either no lip, one lip or two lips, according to the function which the bearing has to perform. Ball Bearings have a point contact on the races whereas all types of cylindrical roller bearings have a line contact. Due to line contact the cylindrical roller bearings have a very high radial load carrying capacity as compared to ball bearings of the same size. 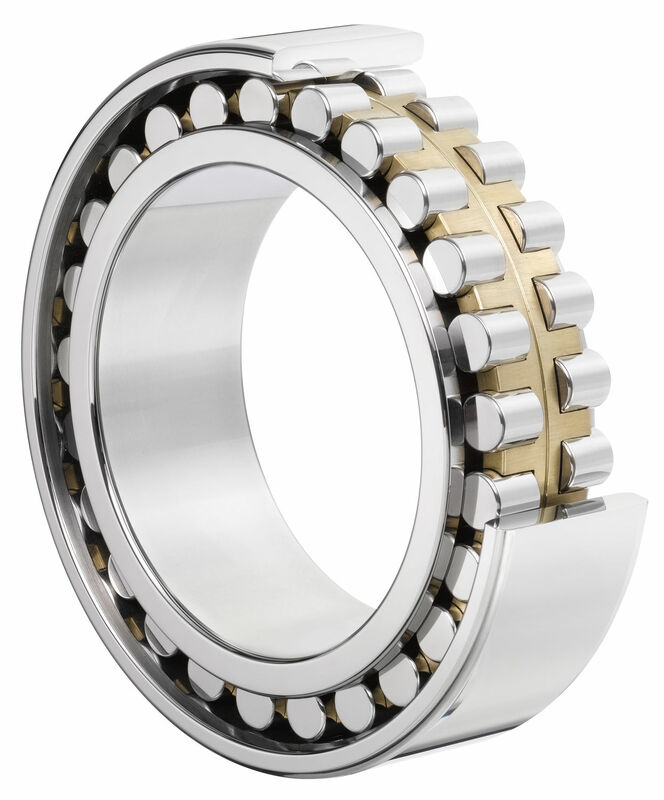 Due to their separable design, cylindrical roller bearings are more convenient for mountings than ball bearings.